Dear Brother Oblates, and all our Brothers and Sisters who live the Oblate Charism. We celebrate, on this feast of the Conversion of Saint Paul, the 203rd anniversary of the foundation of our Congregation. We are concluding the Congregation-wide “Year of Oblate Vocations,” an initiative requested by the Congress of Mission with Youth and the Congress on Oblate Vocations, and endorsed by the members of the 2016 General Chapter. This Year of Oblate Vocations has raised the consciousness of the entire Congregation to our responsibility to believe in the future of the Congregation as an instrument of missionary evangelization in the Church. We are all called to pray and work for vocations of vowed Oblates who will live the charism of Saint Eugene de Mazenod. As I reflect on this past year, I am filled with three thoughts: gratitude, commitment and conversion. 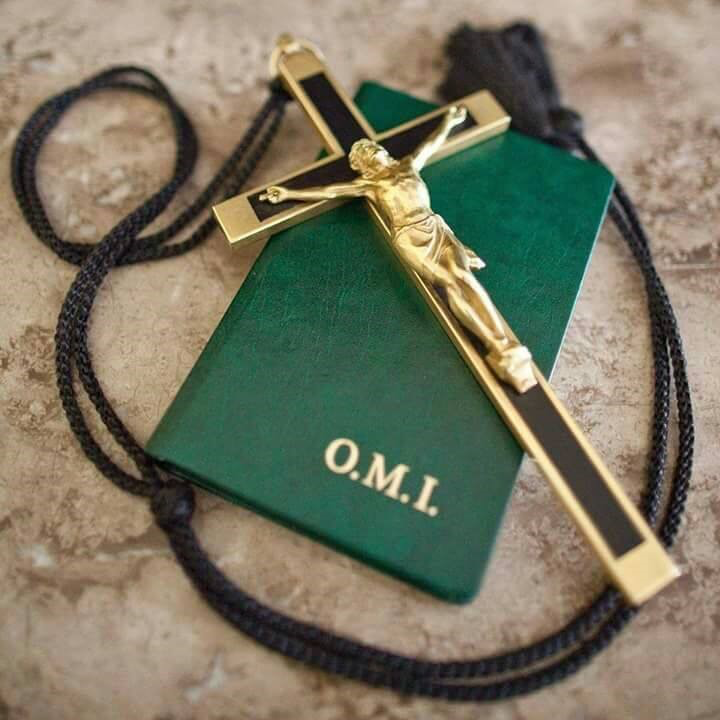 First of all, the entire Congregation is grateful to God for this Year of Oblate Vocations because it has been an opportunity to understand vocation ministry as much more than assigning an Oblate to recruit men for the Congregation’s mission. Vocation ministry is an integral part of a Unit’s life and mission and involves everyone, Oblates, laity, other religious, etc. We are thankful for all those Units that have taken creative and courageous initiatives, even in the face of extreme difficulties, to renew the ministry of vocations. 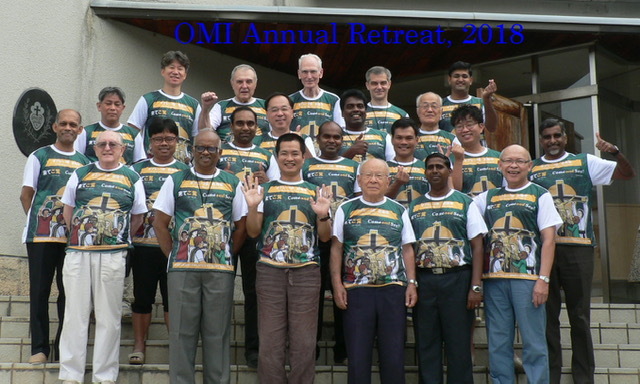 In many Units, Oblate Associates have contributed zealously to this effort. Thank you for your dedication and support! We are also grateful that this Year of Oblate Vocations has helped us become aware of inviting young men and women to consider a commitment to one of the many forms of the Oblate charism lived by lay people in groups and parishes around the world, by men and women in secular institutes and religious Congregations, by clerics, as well as by consecrated virgins. All of us are committed to the accompaniment of young people in their eventual discernment of an Oblate vocation in its many expressions. Secondly, as we conclude this Year of Oblate Vocations, the word commitment recalls our responsibility to propose to young people the Oblate life and mission, supporting them in their generosity, in their enthusiasm, and in their capacity to dream about serving the Mission of God. Making lifelong commitments about one’s future is often scary for young people today and, for this reason, we need to be proactive in taking the initiative to invite them to consider the Oblate charism, and then to patiently walk with them. This commitment to the ministry of vocations by every Oblate is both an expression of our love for the poor who clamor for salvation and our conviction that the Oblate vocation plays an important role in the mission of the Church. We recall the message of Pope Francis to us on October 7, 2016, when he addressed the members of the General Chapter and spoke of our future and the need the Church has for our charism. Thirdly, the Year of Oblate Vocations is a call to conversion by all who seek to live the Oblate charism. We must be signs of communal life, characterized by joy and happiness, prayer, and forgiveness, and a welcoming spirit, enriched through deep fraternal sharing. We must believe that it is the witness of genuine Gospel love lived by Oblates that will attract others to join in the mission. The ongoing conversion to holiness of life is necessary so that others will experience what Eugene de Mazenod wanted: charity among us and passion for the mission to the poor. I invite us all to give thanks to God for this Year of Oblate Vocations; to commit ourselves to be responsible for a vocational culture in our Units; and to hear anew Eugene de Mazenod’s call to constant conversion to holiness. Perhaps this is more urgent today than in his own time. The Church has dire need for holy men and women, living their baptismal call as missionaries on the front lines, prophets at the side of those whom society excludes and counts as worthless. The recent Synod of October 2018, Young People, Faith and Vocational Discernment, was a marvelous confirmation of our Year of Oblate Vocations. The Synod calls the Church to be a community that listens, that accompanies, and that discerns vocation together with young people. It is Mary, the Mother of Jesus, who always encourages us “to do whatever He tells you.” May this good Mother help us continue to live out the grace we have received in this Year of Oblate Vocations. Praised be Jesus Christ and Mary Immaculate! This entry was posted in Superior's Desk, Uncategorized. Bookmark the permalink.